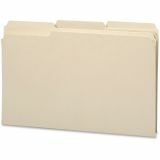 Smead File Folders, 1/3 Cut Reinforced Top Tab, Legal, Manila, 100/Box - More durable than standard file folders, these file folders with reinforced two-ply tabs provide extra strength where you need it most. The 1/2 high tabs are built stronger to last longer. 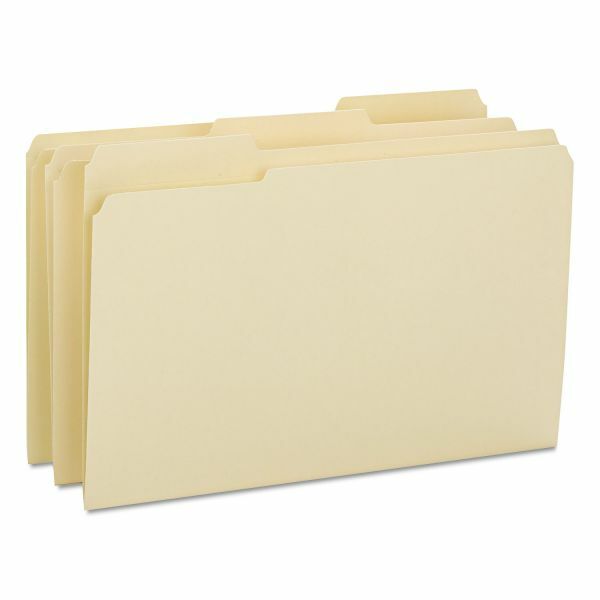 1/3-cut tabs come in assorted positions for easy access and quick identification. The legal-size folder also offers sturdy, 14 point manila stock; rounded top corners (front and back); and undercut front panel."